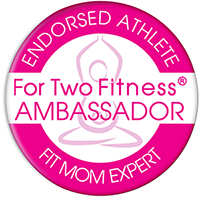 I mentioned before that I am now a For Two Fitness Fit Mom Ambassador. I wrote a guest blog that was featured on their blog today about getting your body back after pregnancy. You can read my full pregnancy story here. Long story short I gained way more than I wanted. Since I am a personal trainer and fitness nutrition specialist I was able to use my knowledge to my advantage and get my pre-baby body back. I am in better shape now than I was before I got pregnant in May 2011. Here is my full guest blog that I wrote for For Two Fitness. I hope that this helps you get back to your pre-baby (or maybe better) body. Feel free to contact me with questions for for help. I was there and I know what it takes. Just know...You can do it!! 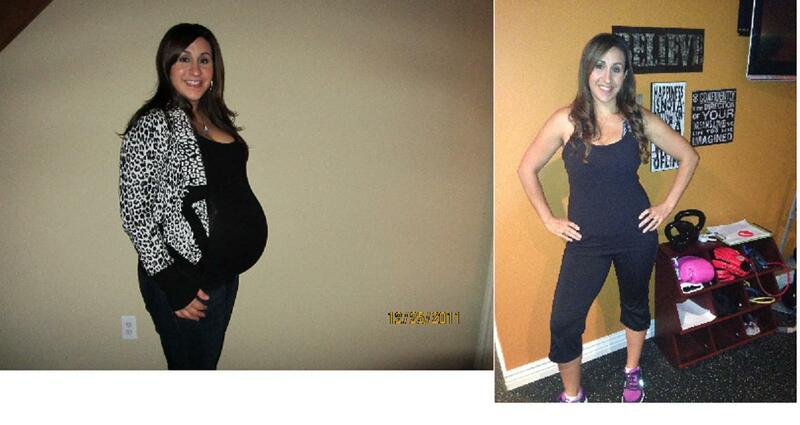 After giving birth to my daughter, I wanted to get back to my pre-pregnancy body, and quickly! However, I knew that I had to be gentle with myself and start slowly as my body had just undergone many changes. I was breast feeding which helped shed some of the initial weight (Mother Nature is smart like that). Once I was cleared for exercise by my doctor I started walking on the treadmill for 30 minutes at a slow pace and doing some light weights. I have lost all of the weight I gained and an extra 15 pounds, if I can do it so can you! *You can perform each exercise individually with 30-60 seconds rest between each set, or in a circuit format which is to do one set of each exercise then move to the next, perform all exercises and start circuit from the beginning. 3. Walk outside! The fresh air is good for you and the baby! Once the weather got nice I was able to walk while my little one napped in her stroller. I walked 3 miles everyday and did weight training 3 days per week. 4. Time your workouts right- I nursed my daughter so I would feed her right before I was going to workout so she would nap and my breasts weren’t so heavy. This was also important because some women produce lactic acid when they exercise and this can get into your milk, while it is not a danger to the baby it may alter the taste a little. I also invested in the right bra for me with a lot of support so I could start running without the pain. 5. Wear a belly band or belly support while you workout- Your stomach muscles were just stretched to the max, and it will take time for them to return to normal. I used the support they gave me at the hospital after my c-section. This helped me to stand with correct posture and helped my tummy return to normal size. 6. Stay hydrated- This is especially important if you are nursing and working out. Drink an extra glass of water after each nursing session and after each workout. It is important for your milk supply that you stay hydrated. 7. Eat right- This will help to shed weight even faster. When you eat real whole foods that are nutrient dense your metabolism soars. Pair this with breast feeding, which can burn an extra 500 calories per day and you will be well on your way to your pre-baby body. It is also important to watch what you eat if you are nursing because everything you eat your baby does too, all the more motivation to eat healthy. 8. Track your calories- I used the free site www.myfitnesspal.com to figure out how many calories I needed. You enter your information and it will calculate how many you need, however you will have to add the extra 500 back in if you are working out too, otherwise you will not be eating enough which can affect your supply. For example, if My fitness pal says to eat 1,200 calories add in 500, which means you need about 1,700 calories per day. This is only if you are exercising regularly, because the extra calories you burn from working out will create the calorie deficit needed for weight loss. 9. Prepare clean foods in advance- Cook 5 chicken breasts at a time and make a large salad for the week. That way when time is tight you can grab something healthy and quick. Also, have lots of fruit on hand to pair with a hard-boiled egg, string cheese or almonds for a healthy snack throughout the day. Being a new mom, really a mom, means you don’t always have time to prepare gourmet meals, make it easy to eat right by being prepared. 10. Be consistent- Make working out a daily routine and it will become second nature. You will feel great that you are doing something to keep you active and healthy, and once your little one is running around you will have all the energy you need to keep up!